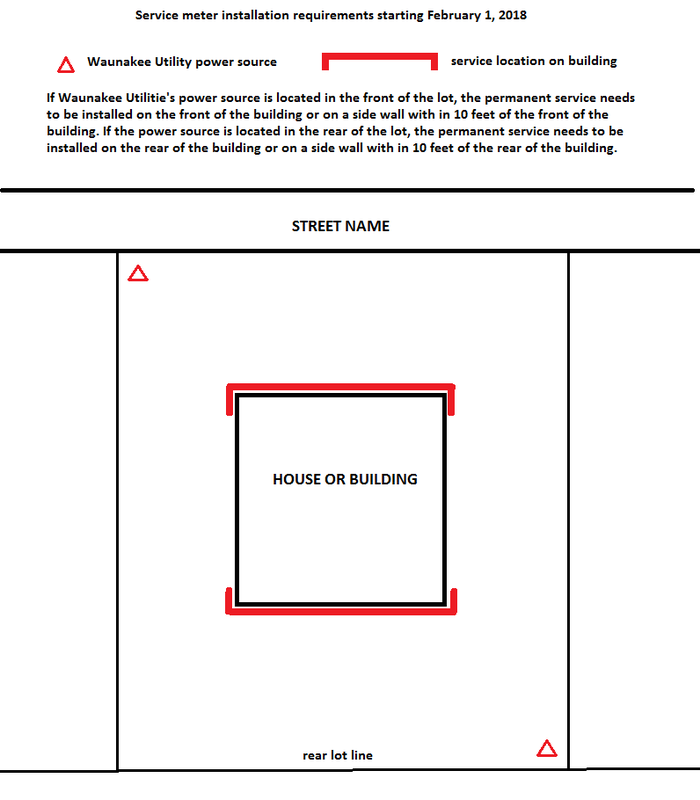 The permanent service needs to be installed on the front of the building or on a side wall within 10 feet of the front of the building if Waunakee Utilities’ power source is located in the front of the lot. If the power source is located in the rear of the lot, the permanent service needs to be installed on the rear of the building or on a side wall within 10 feet of the rear of the building. Please contact Dave Dresen with any questions 608.849.5450.